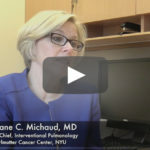 In the second of this 6-part series, Gaetane C. Michaud, MD, chief of interventional pulmonary medicine at New York University (NYU) Langone Medical Center and associate professor of medicine, discusses weighing the risks against the benefits of airway stenting with Pulmonology Advisor. Click here to view previous video. The decision to place a stent means that you have optimally managed all the other medical conditions including pulmonary emboli and COPD. These are generally patients who are symptomatic despite medical optimization. For many of these patients, it is a palliative decision. These are patients who have presented in respiratory failure or, alternatively, have been maximally managed but now have ongoing issues with airway obstruction. We take that decision very seriously. Many of these patients are seriously ill, so we are always weighing risk against benefit. We do not want them to die in the operating room; we never want to take a chance when taking someone to the operating room to perform these procedures if we know that we are not going to change their ultimate outcome. We don’t cure people with the procedures that we do, but we can certainly make them feel a lot better. We certainly feel very relieved when they are in the recovery area and say, “Hey, look what I can do!” Then they take a big breath, and you can see the distress melt away completely from their faces. However, with that said, we do have patients who are medically unstable. The rigid bronchoscope has a very sharp barrel, and we have to be very well trained to get the airway in line with the scope and ensure that we are doing the best for our patients. We have a very extensive discussion with all of our patients and their loved ones about the risks and benefits of the procedure. We will ultimately perform procedures in extremely high-risk patients if we feel that it may extend their lives and allow them the opportunity to have those conversations with their families and deal with those end-of-life issues. 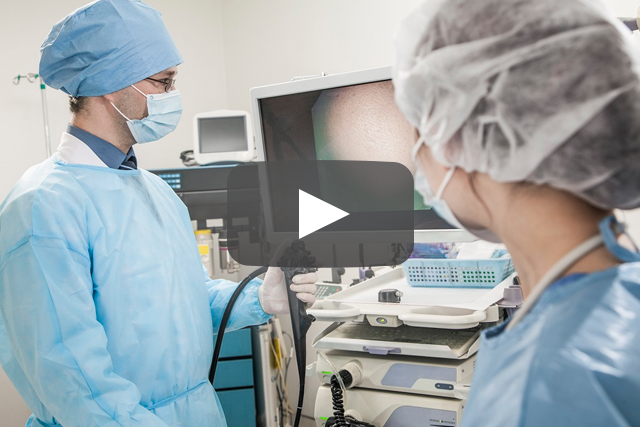 We do have conversations with our anesthesiologist on a regular basis, and we will tell them when we are really pushing the envelope and when we are doing something that is of really high acuity. We do not delay those cases, but they are performed with a very well-formulated plan. We know exactly what we are doing, and we know exactly what our “fail-safe” is and when we need to back out. There are no heroes in this. If you are not going to make people better, then you just don’t do it. It’s not about performing a procedure. It is actually about making patients feel better. At NYU, we are fortunate because we have the ability to place whatever stent we require for rigid bronchoscopy and flexible bronchoscopy. We are able to do metallic stents that are self-expanding, or alternatively, silicone stents. In the last 2 years, we have had a marked increase in stent placement volume at NYU. I think that when people realize that you have the ability to manage these patients, you will tend to see more of them. We have a very large referral base, and we are thankful to the network for helping us get all these patients the appropriate therapy. Click here to view part 3.